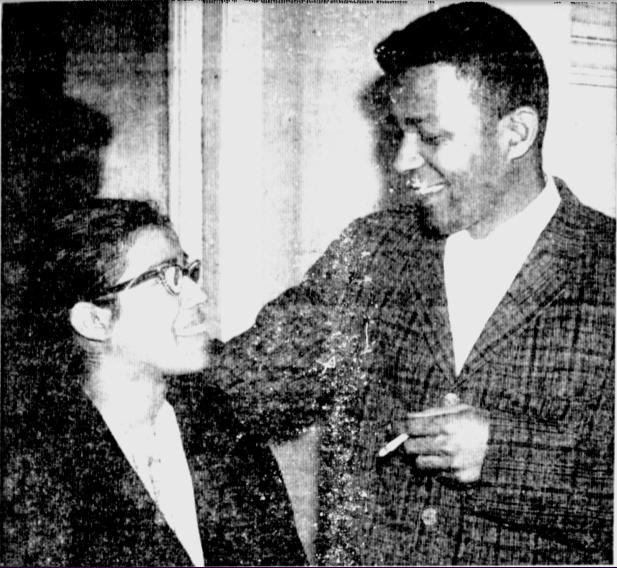 This is a 1962 newspaper photo of East River CORE chairman Blyden Jackson, with his wife at the time, Carmel Jackson. At the time the photo was taken he was the chairman of the New Haven, CT chapter of CORE. He also participated in the Route 40 Freedom Rides. 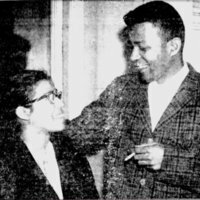 He became one of the founding members of East River CORE after losing the 1963 election for Harlem CORE chairman. Known as the 'River Rats', East River CORE was located on the east side of 125th street. “photo of Blyden Jackson, East River CORE ,” corenyc.org, accessed April 21, 2019, http://www.corenyc.org/omeka/items/show/121.